Alphabet’s (NASDAQ:GOOG, NASDAQ:GOOGL) Google and Facebook (NASDAQ:FB) currently dominate the market, but they’re about to get more competition. Amazon (NASDAQ:AMZN) is testing search video ads on its mobile app. The online retailer is flexing its muscles in an attempt to keep shoppers on its site and scoop up additional revenue in the process. 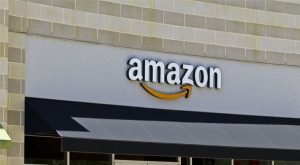 Article printed from InvestorPlace Media, https://investorplace.com/2019/03/mobile-ad-push-could-boost-amazon-stock/.